Joan's Gardens: Memory Box Designer Stencils....Look what you can do! Memory Box Designer Stencils....Look what you can do! but take a look at these beautiful embossed images created by putting the Memory Box Stencils and a nice cardstock through a cutting machine with a rubber embossing mat! You can check out all the new stencils available by clicking on MEMORY BOX under Items In My Store By Manufacturer. 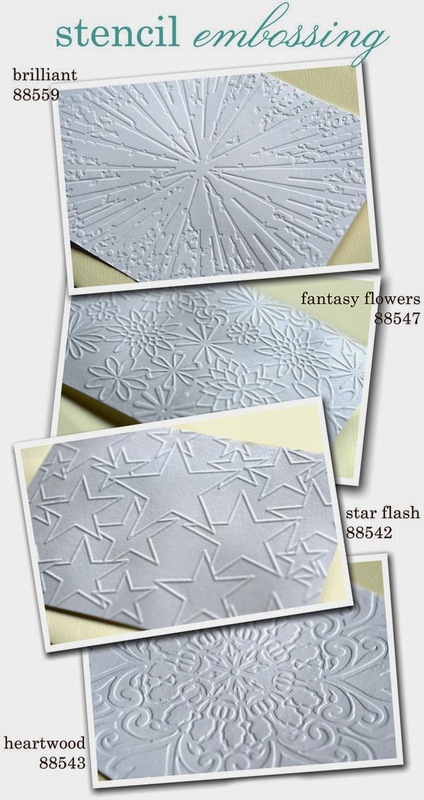 Please call me at 574-784-9050 or e-mail me at myjoansgardens@yahoo.com if you want to order any of these stencils.